10. 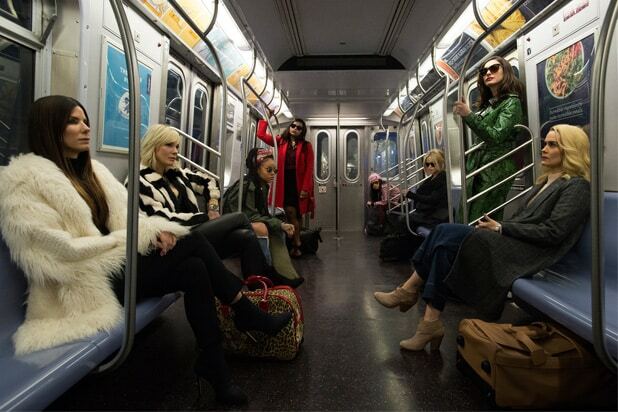 "Ocean's 8" (June 8) The female-fronted spinoff to "Ocean's 11" is as cool as can be, with an all-star cast of women leading another high-class caper. Sandra Bullock, Cate Blanchett, Anne Hathaway, Sarah Paulson, Helena Bonham Carter, Rihanna, Awkwafina and Mindy Kaling star. Watch the trailer here. 9. 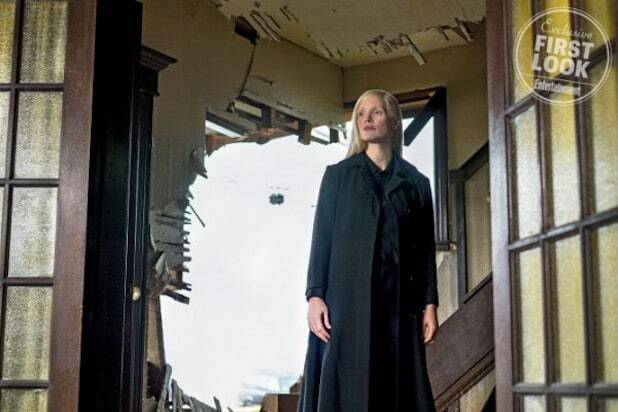 "X-Men: Dark Phoenix" (Nov. 2) Fans have been itching for a film adaptation of "The Dark Phoenix Saga" for ages, in which Jean Grey (Sophie Turner) is imbued with incredible powers that transforms her to Dark Phoenix. Jessica Chastain joins the cast of X-Men as the film's mysterious villain. 8. "A Wrinkle in Time" (March 9) Ava DuVernay directs this extravagant fantasy and adventure about a trip through space and time to find a missing scientist. Reese Witherspoon, Oprah Winfrey, Mindy Kaling, Chris Pine, Gugu Mbatha-Raw, Michael Pena and Zach Galifianakis all star. Watch the trailer here. 7. "Fantastic Beasts: The Crimes of Grindelwald" (Nov. 16) Part two of five in this prequel series in the Harry Potter universe finds Newt Scamander (Eddie Redmayne) teaming up with a young Albus Dumbledore (Jude Law) to battle the evil wizard Gellert Grindelwald (Johnny Depp). Check out new images from the film here. 6. "Incredibles 2" (June 15) Fourteen years after Pixar's "The Incredibles," this super family is back on the job, with Elastigirl (Holly Hunter) taking more of a front and center role this time around. Check out the teaser here. 5. "Solo: A Star Wars Story" (May 25) After a lot of headaches in the production that eventually led to Ron Howard taking the directing job, it seems fans won't mind following the "Star Wars" franchise to the summer and watching Alden Ehrenreich shoot first as the iconic Han Solo. 4. 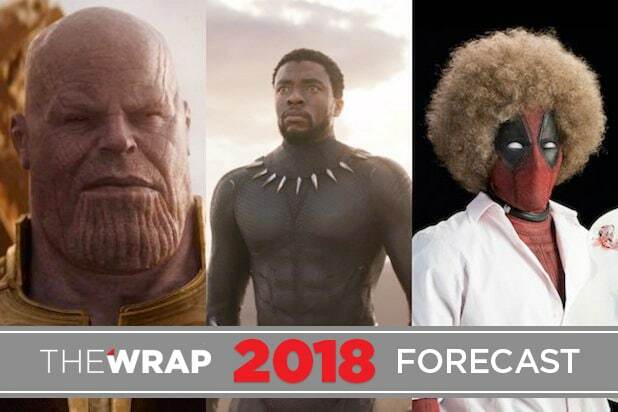 "Untitled Deadpool Sequel" (June 1) Ryan Reynolds is strapping his spandex back on for the sequel to "Deadpool," which has added Josh Brolin as the villain Cable and "Atlanta" star Zazie Beetz as Domino. 3. "Jurassic World: Fallen Kingdom" (June 22) Jeff Goldblum is back in the sequel to "Jurassic World," with Chris Pratt and Bryce Dallas Howard returning to Isla Nublar to rescue the dinosaurs that live there from being wiped out by an active volcano. Check out the trailer here. 2. "Black Panther" (Feb. 16) The rare movie on this list to open this winter rather than in the summer, T'Challa of "Black Panther" first stole the show in "Captain America: Civil War." And "Creed" director Ryan Coogler has assembled an impressive cast of up-and-coming black actors including Chadwick Boseman, Michael B. Jordan, Lupita Nyong'o, Danai Gurira and Daniel Kaluuya. 1. "Avengers: Infinity War" (May 4) Marvel has promised that "Infinity War" would finally start bring this chapter of the current crop of Avengers to a close and usher in a new era of heroes, and the initial trailer showcasing their fight with Thanos teases the grim stakes at hand.